Princeton University’s Keller Center has experienced explosive growth, as students have interests that go beyond individual departments. 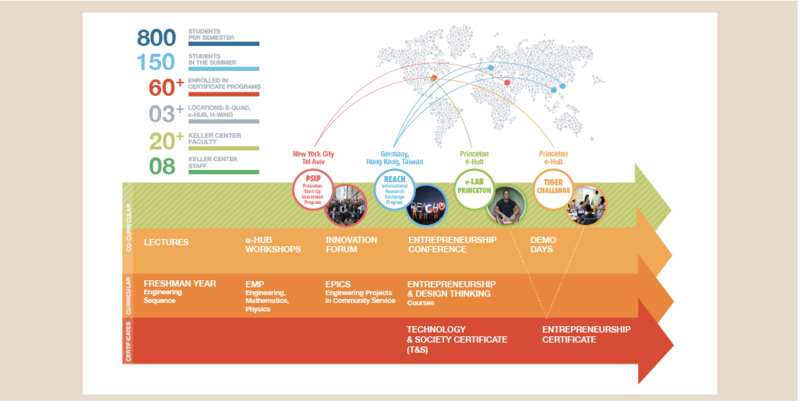 These visualizations serve two audiences – both students and administration, helping to clarify and support The Keller Center’s mission to educate leaders for a technology-driven society, while fostering entrepreneurship, innovation and design. Keller Center’s Birds-eye View visualizes how The Keller Center serves as a hub, connecting students, in engineering, the humanities, arts, social sciences and natural sciences with each other, as well as connecting them with the broader campus community and beyond. 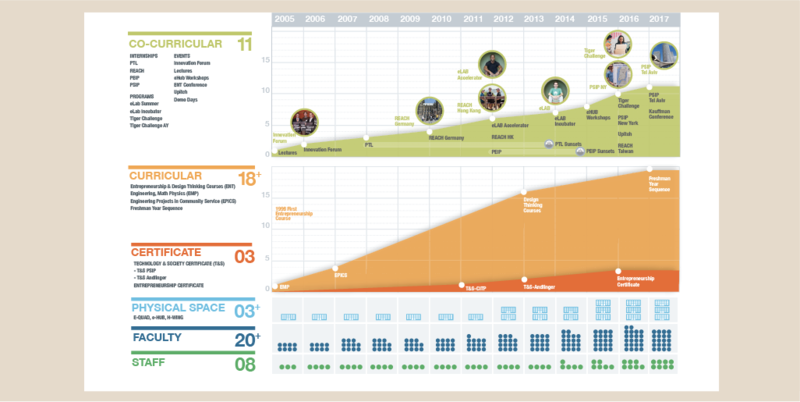 The visualization translates a complex sequence of programs distilled into a single chart, helping inform the students of opportunities to connect through the Keller Center.